Today, adidas has revealed several new shirts for the upcoming 2018 FIFA World Cup. 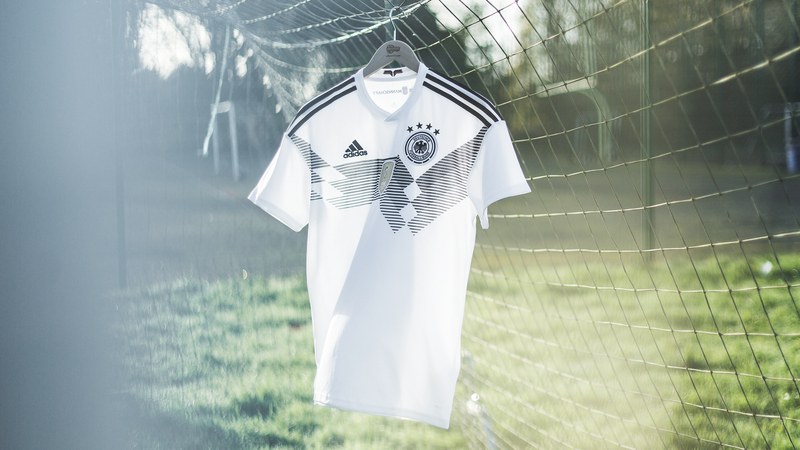 This includes the shirt for the four times winners and defending World Champions, Germany. And this one guys, it's an absolute stunner! Most of you remember the 2014 semi final 7-1 slaughter and Mario Götze's extra time winner in the final. But before those highlights in German football history, West Germany claimed the trophy back in 1990 wearing one of the most awesome football shirts ever. Luckily, adidas has not forgotten this kit. The new Germany shirt for the 2018 World Cup is a modern interpretation of one of the country’s most famous kits worldwide, the iconic 1990 shirt. Try to google it if you don't already know it. The new home kit builds on this classic design with an improved and reworked performance silhouette featuring dropped shoulder cut lines. It’s constructed of a two-fabric component collar with the words 'Die Mannschaft' on the reverse of the neck. A gold World Cup winner badge features on the front of the shirt and a special sign-off on the inside of the collar pays homage to the link between the new kit and the kit of the 90s. Although only the adidas home shirts and the Italy shirt by PUMA have been released by now, it's safe to say that this Germany shirt will be one of the hottest in Russia next summer. Like on the Spain, Belgium and Argentina shirts, adidas has really nailed the combination of past and present on this Germany shirt. Do you want to support Die Mannschaft in the hunt for the fifth World Cup title? Pre-order the beautiful Germany shirt here.